Bikes are always ridden by people braving the conditions to survey their surroundings, challenge mother nature, and get work done. We’re gathering photos and videos from Sandy on a new Tumblr. Those include a ride through a flooded street with FDNY cheering and this funny Dutch Bike CNN photobomb. 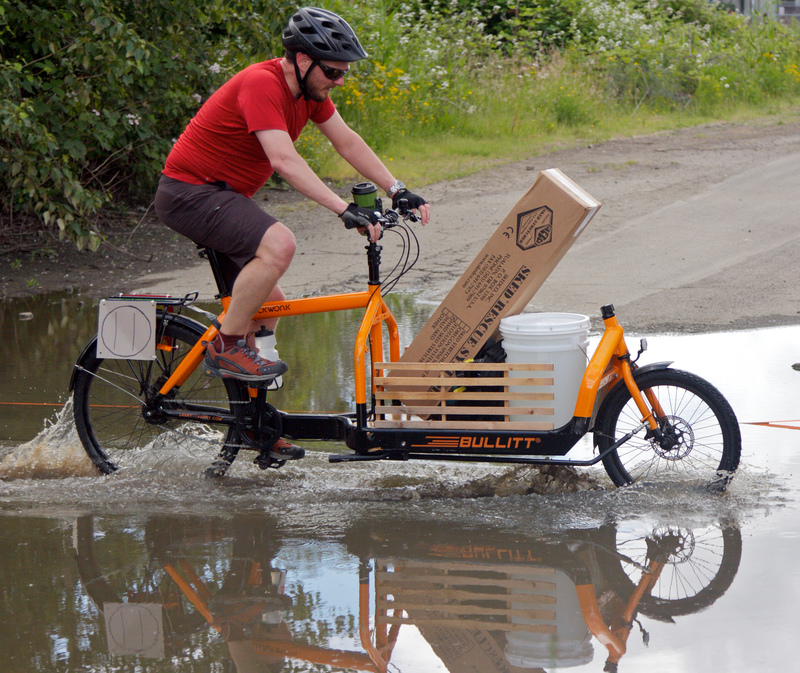 As the bike industry saying goes, “Bicycles are like the cockroaches of transportation in natural disasters.” Last year in Portland, Transport Land staged disaster response drills with cargo bikes. In Japan after the Tsunami bike boom, people are still riding their bikes. Earlier this year, we learned that the once-lowly bike is popular in countries like Greece facing austerity measures after the debt crisis. That all you got, Storm? I’ve ridden in all kinds of weather and posted about in 07. I compared the decisions to ride to that scene in Forrest Gump with Lieutenant Dan and the storm. I’ve foolhardily challenged the winds, rain, and snow to throw more at me. You call that a storm with your golfball-sized hail? Pffft my wife throws ice cubes at me when I’m on the trainer at home! You do the same? When I see the photos and videos of cyclists riding a hurricane, I know if that storm hit here, I’d do exactly the same thing.